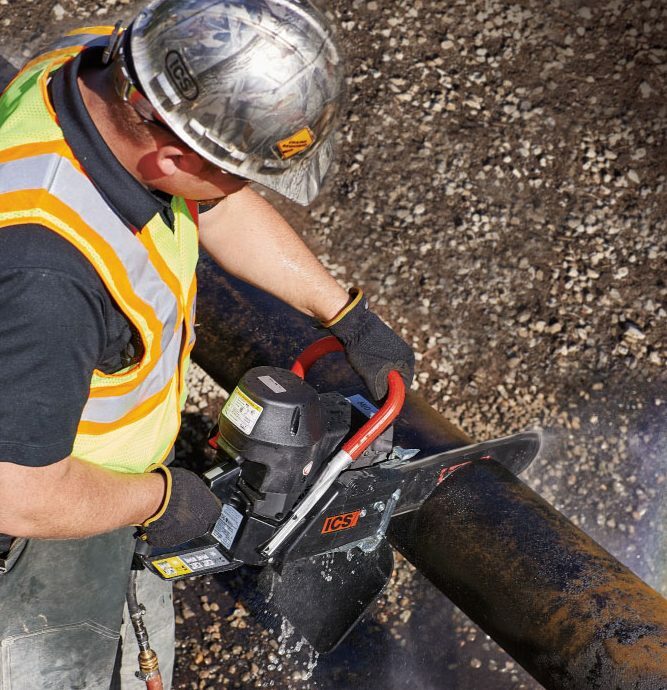 The ICS 680ES Gas Chain Saw is built to meet the operation and flexibility demands of the general construction user, the 680ES stands alone in terms of reliability and value. Easy to start with a new multifunction lever to control choke, run, and stop functions. The distinctive black powerhead houses specially designed carburetion and ignition systems that work together to ensure easy starting, cooler operation and dependable performance at just about any elevation. Available with 12-inch (30 cm) and 14-inch (35 cm) guidebars and the entire line of MAX series diamond chain.